The natural light consists of a mix of wavelengths spanning the spectrum from infrared to ultraviolet. The light that has passed through a lens is dispersed, with the different wavelengths coming to focus at different distances from the lens. 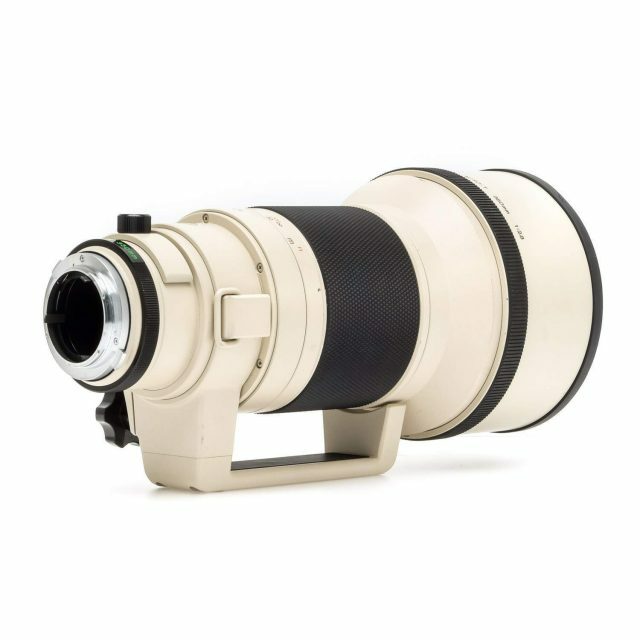 This phenomenon is increasingly pronounced as the focal length becomes greater, resulting in color shift and blurred images. 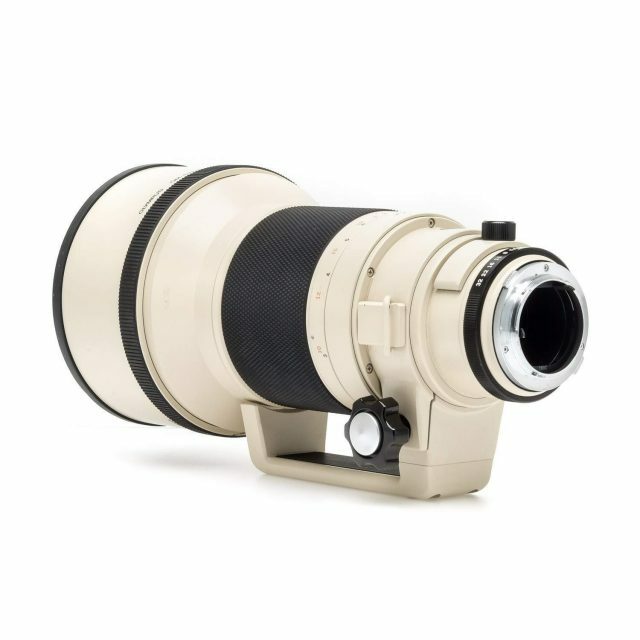 The 350mm lens uses a newly developed optical glass which possesses a low refractive index and low dispersion characteristics to virtually eliminate chromatic aberration inherent to the supertelephoto lens. Due to its superb image-forming ability, it is a supertelephoto lens of choice for professionals who demand the highest picture quality. It has a maximum aperture of F2.8 (the fastest among the lenses in its class). A rotating cam is incorporated (inner focus) to enable the photographer to focus the lens with ease by turning the focusing ring lightly with a finger tip to capture any picture-taking opportunity. The inner focusing also enables him to shoot at close distances down to 3m (10 ft.) (reproduction ratio 1:7). 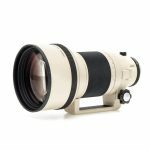 For sports and news photos as well as for shooting wildlife, this lens will freighten picture-taking possibilities even in unfavorable conditions. 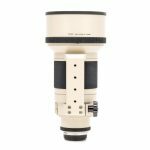 The front element of the lens uses a special material less hard than the conventional lenses, so that greater care should be taken to protect it from scratching. 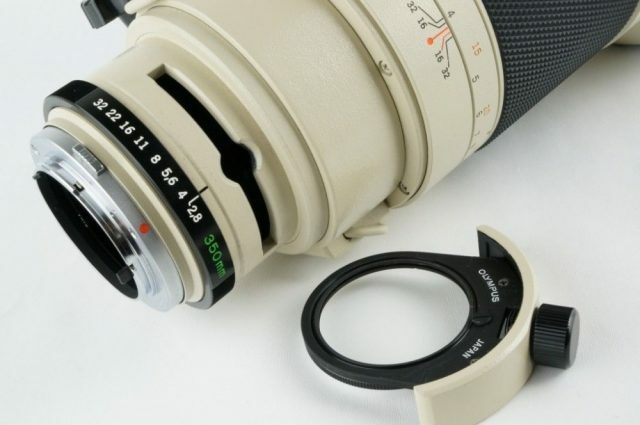 When not taking pictures, be sure to put the front lens cap on. 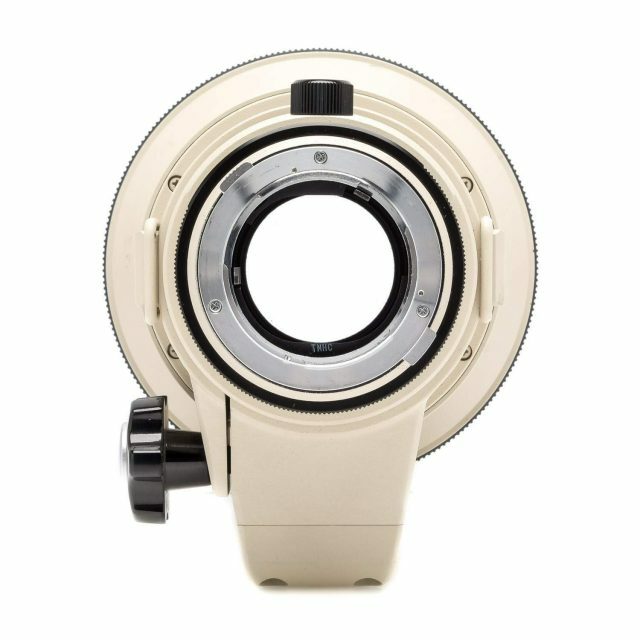 A NEUTRAL 46mm rear filter comes with the lens. The filter is a part of the lens optical system, so that be careful to always use the neutral filter when any other filter is not used. 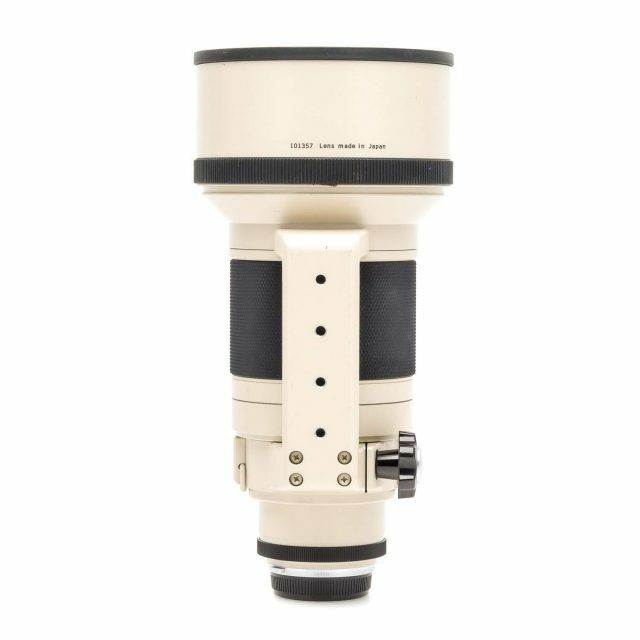 After replacing the filter, focus adjustment is necessary. Is this specified anywhere besides here? It’s the first I’ve seen it. 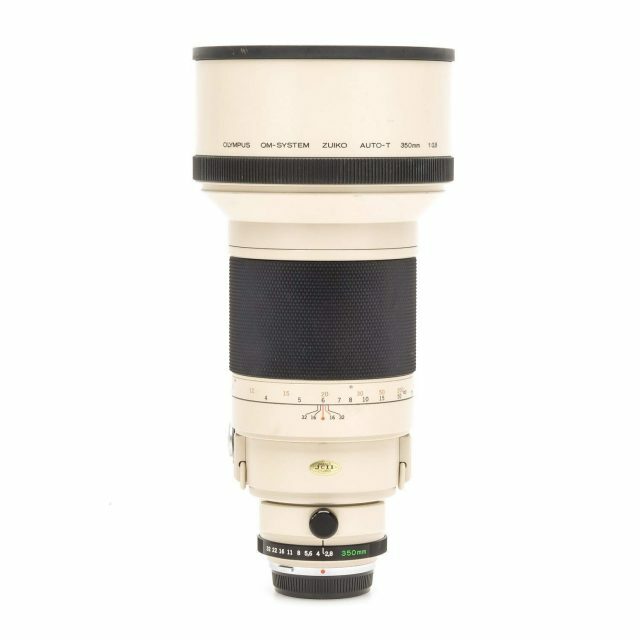 In fact, fluorine glass is known to be soft and subject to scratches, and the manual for this lens notes to be careful with the front element, as it is soft and subject to scratches. Based on that, I always just assumed the front element and/or its coating was a fluoride element. Click on a blue circle with a question mark to the left of the “Fluorine coating: None” to find out what is fluorine coating and what is the difference between fluorine coating and fluorite elements. 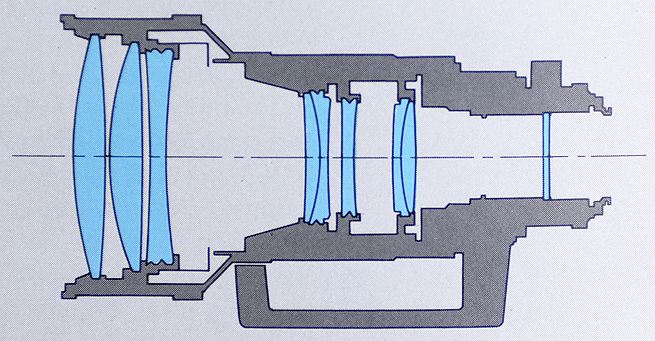 This lens never had fluorite element(s) in its optical formula, it only has 1 ultra-low dispersion element. 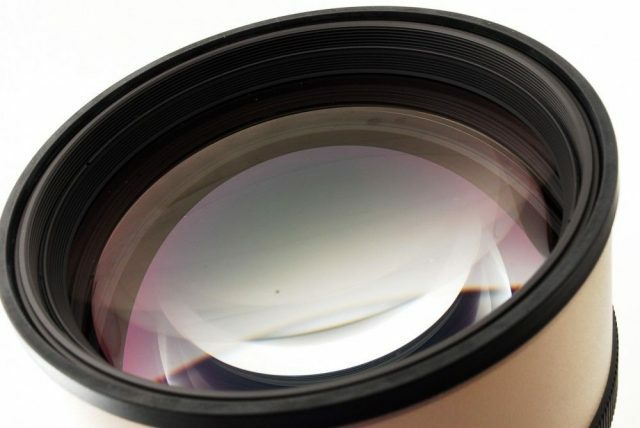 The fact that this lens has soft front element prone to scratching does not automatically mean that this element is a fluorite element. 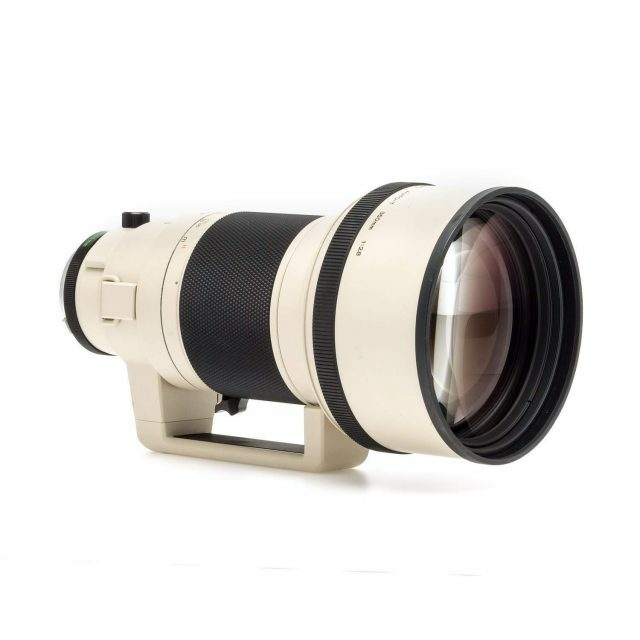 Olympus would definitely mention that the lens incorporates a fluorite element, since it was an advanced and expensive optical technology at the time. For this lens, 1 ultra-low dispersion element was pretty enough to provide good correction of chromatic aberrations and offer professional image quality. The same is true for the Zuiko 250/2 lens.